Dr Sharon Felzen graduated in 1984 and after gaining a solid grounding in general medicine decided to further her interest in cosmetic medicine. Since 1998, she has gained considerable experience in the areas of treating veins. She worked as senior surgical assistant to a leading cosmetic dermatologist in Melbourne from 1998 to 2004. 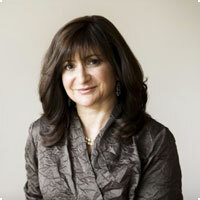 Since 2004 she has focused on vein treatments, specializing in microsclerotherapy and ultrasound-guided sclerotherapy. Dr Felzen continues to work in General Practice with interests in Travel Medicine, Mole Screening & Women's Health. She attends regular local and overseas conferences to advance her experience and knowledge in this field of medicine.